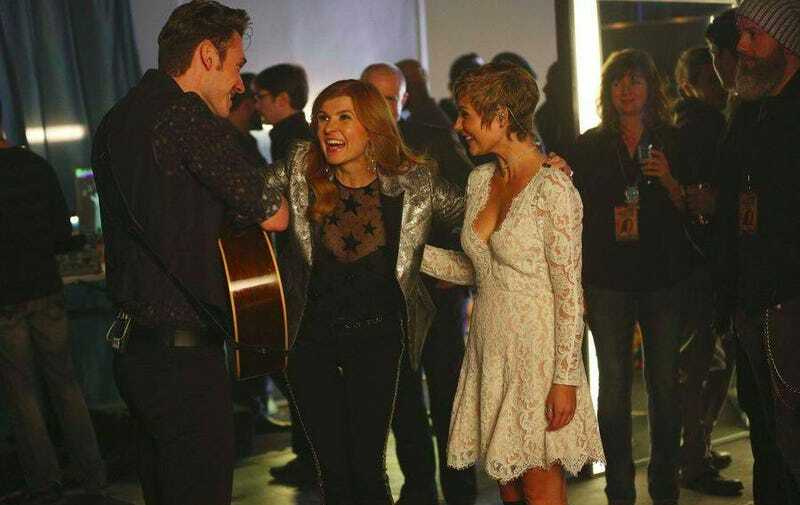 Connie Britton may have signed on to Season 5 of Nashville, which has left ABC and will premiere on CMT in January, but does she particularly want to be doing this show that she stars in anymore? Doesn’t look like it! Sorry to say, but my theory seems to have panned out. As Entertainment Weekly reports, Britton “has only signed on for about 10 episodes of the new season,” which was picked up for a full order of 22. One source close to the show insists, however, that they still remain hopeful they’ll get her on board for more and that her deal is not yet final. Frankly, it doesn’t seem like the show would be particularly hurt without Britton being the center of it; I personally have always found Rayna James fairly dull. Plus there are so many other young whippersnappers around trying to steal her thunder, writing her off the show doesn’t seem like it would be the most unnatural thing in the world. Guys I hate being right but I also love it!